Greystones Councillor Derek Mitchell is pressing with his proposals to improve the N11/M50. Councillor Mitchell along with Councillor John Ryan met with Ministers Simon Harris and Leo Varadakar, then Minister for Transport in 2014 and proposed the following recommendations. 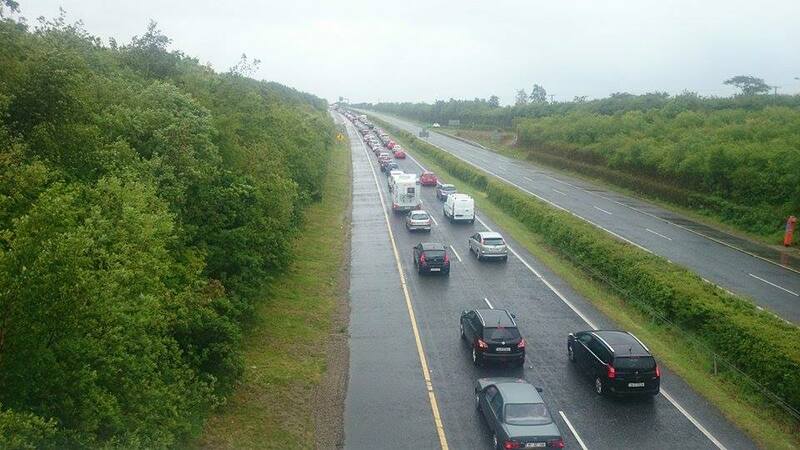 • 3 lanes from the M50 to Kilmacanogue J9. These can mostly be fitted into the space of the wide central margin. • Bridge over the Dargle at Fassaroe for local traffic. • Service roads/lanes both sides from Fassaroe to Kilmacanogue. Some land needs to be acquired on the West side of the N11. • Improving the junctions at Fassaroe and especially Kilcroney, Bray South. Phase 1. Kilmacanogue service roads similar to the N7 at Lucan. To improve safety with a target of raising the speed limit to 100 kph. Phase 2. 3 lanes from M50 to Fassaroe and improving that junction and on/off ramps. Phase 3. 3 lanes to Kilmac, Service roads to Bray South and upgrading that junction. Phase 4. A few improvements from Kilmacanogue to Ashford M11 junction. Phase 5. Bray Dargle Bridge. There have been 9 previous reports which have not produced action and it is essential that a number of Phases are implemented from now otherwise East Wicklow will seize up. A number of previous suggestions were examined and found to be ineffective and not recommended. These included a controversial road from Kilmacanoge to the Woodies roundabout in Bray, around the Little Sugarloaf. With developments in Newtown and Cherrywood currently under construction, congestion at peak times can only get worse.